Click here for our full class schedule! 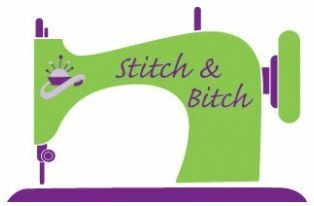 If you are a beginner or haven’t sewn in years, this is the place to start! Learn Your Machine is a pre-requisite for Beginner Sewing. A Free Class for Children! 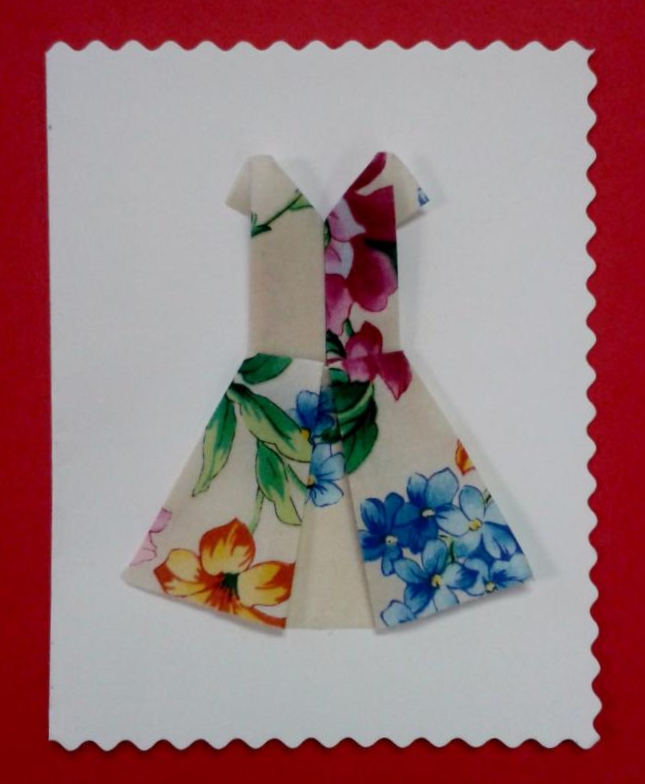 What better way to honour the special women in our lives than with a hand-made card? This is a free class, but please pre-register. Supplies included. Have you taken a special photo that you would like to make into a quilt? Don’t know where to start? Join Sue as she shows you techniques on how to create quilts from photos! Need a little motivation or help finishing your project? Or maybe you want a fun night out with new friends? We’ll put on the coffee & tea and have one of our resident experts on-hand in case you have any questions! Sign-up on your own or with a group of your friends! Join Sherry and make these cute & versatile Barn Yard Petz! 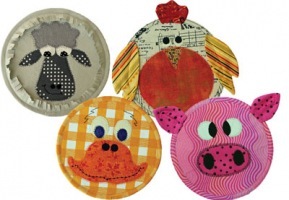 Use the “Petz” as mug rugs, wall hangings, and more! You’ll learn a few techniques too: applique, curved bias tape application, and more. We’re celebrating our 25th Anniversary with extra special savings for you in our annual Spring Flyer! We’ve even done a spread on our top 25 favourite, long-lasting notions that date back to our first ever catalogue and given them big discounts! Click on the first page below to see the whole flyer. Thank you all for helping us reach this great milestone. 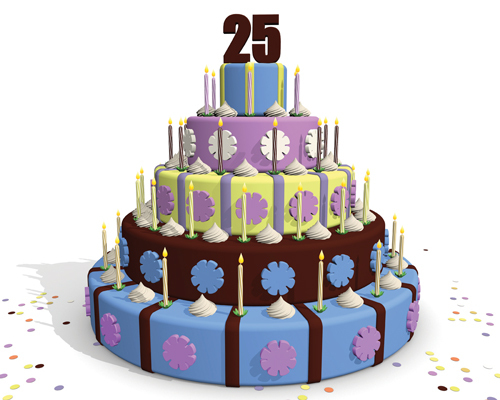 Here’s to the next 25! 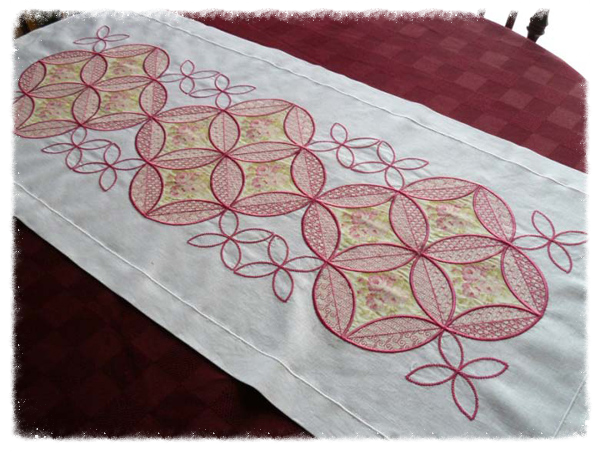 Join us for a great 2-day retreat and embroider the lovely Creative Windows Table Runner with Kerrin Brookes! We’re thrilled to have Kerrin Brookes back to present a trunk show of her beautifully stitched creations. Join us to learn her tricks & tips for getting the results you want from your sewing machine! Here’s your chance to give it a try! 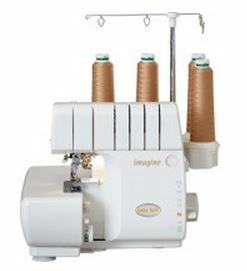 Having a serger will take your projects from looking home-made to professional quality! Come and make a small project with our serging specialists to guide you along the way. 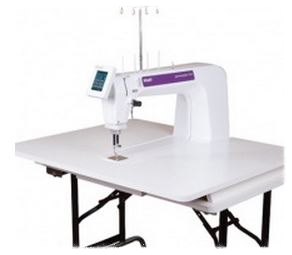 Free-Motion Stitch on a 16″ Sit-Down Machine? Come & learn what it’s like to quilt on a 16″ quilting machine as you complete a potato bag for the microwave! Our resident quilting experts will be on hand to help as you find out what all the excitement is about! These two classes go hand-in-hand for beginner sewists! Learn the ins-and-outs of your machine in Learn Your Machine as you prepare for the Beginner Sewing class. As you work on different projects in Beginner Sewing, you will learn all the basic sewing techniques you’ll need for a variety of projects. Get Creative & learn new techniques! Create a beautiful & unique wall hanging with the leaf design of your choice! 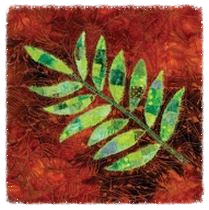 This class covers techniques such as creating texure, applique, working with stencils, and finishing methods. 25th Anniversary Customer Appreciation Day! Saturday, Jan. 24th from 9:30-5:30 in both stores! 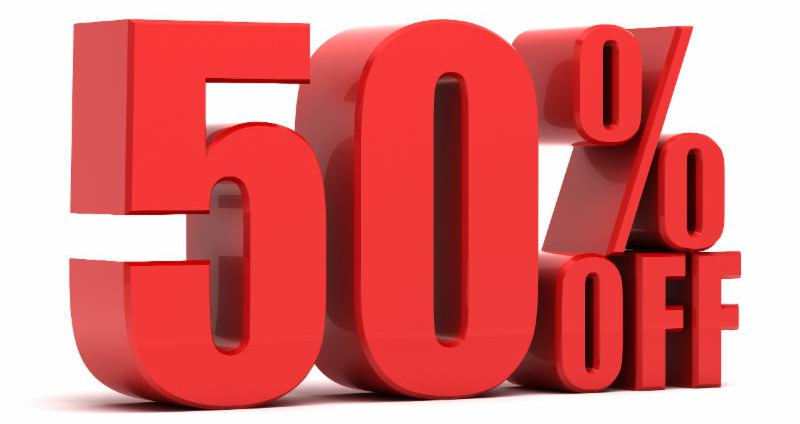 - GREAT prices on machines – 1 day only! Fundraiser for the Heart & Stroke Foundation AND a coupon for you! Saturday, Jan. 24th only in both stores! *In-stock items only. Excludes Accuquilt Go! cutters & irons. Pfaff available in Abbotsford only. Elna available in Surrey/Langley only. 1m cuts! New fabrics just added! Sign up for one, two, or all three projects! Choose from 3 different projects with sessions running all day. Check out our pinterest board here, or see all three of our projects here. Kit fee of $4 per project includes all the supplies you need, PLUS, $1 from each kit fee will be donated to the Heart & Stroke Foundation. All proceeds go to the Heart & Stroke Foundation! Each store will be auctioning off a beautiful, hand-made quilt. Bidding runs from Jan. 19-31. Support a great cause and end up with a gorgeous quilt to keep! *Quilt may not be as appears. Quilts are displayed in each store. Bring in your completed class or club projects on Jan. 24th and get a special gift from us! Great prices on all machine brands PLUS extra incentives with select machines! One day only!! Exclusive: Ron Collins’ all-new classes! Ron’s back with two all-new classes! Ron Collins is Canada’s best known sewing personality and he’s back at A Great Notion with two all-new classes! He has inspired audiences with appearances on HGTV, Sew Perfect, and Eyes on Toronto, to name a few. He was also a celebrated guest instructor at the Helen Lefeaux School of Fashion Design in Vancouver. Ron will share with you new techniques and secrets to help you learn how to create incredible garments that fit and flatter your body. Only a few spots left in each class. Are you disappointed in the fit of your dress pants? Join Ron in a 2-day pant fitting workshop! Discover how to identify and correct your fitting problems, then you’ll alter your pattern to make these adjustments. Learn how to create a smooth, clean silhouette for a flatter looking stomach, and the world’s best fly front technique so the zipper won’t be exposed at the centre front of the pants! Ron will share these and other “secrets” with you! Uncover great techniques at this knit how-to workshop! Bring your favourite knit garment pattern & fabric and you’ll learn everything you need for beautiful results when sewing knits: ease, pattern layout, marking, cutting, interfacing, thread, needles, seam and hem finishes, closures, and more! Also learn how to stabilize necklines, shoulder seams, and armholes to stop them from stretching out. Need pattern adjustments for a great fit? Learn how to change your pattern to fit you. Come learn to sew the fabric you love to wear! 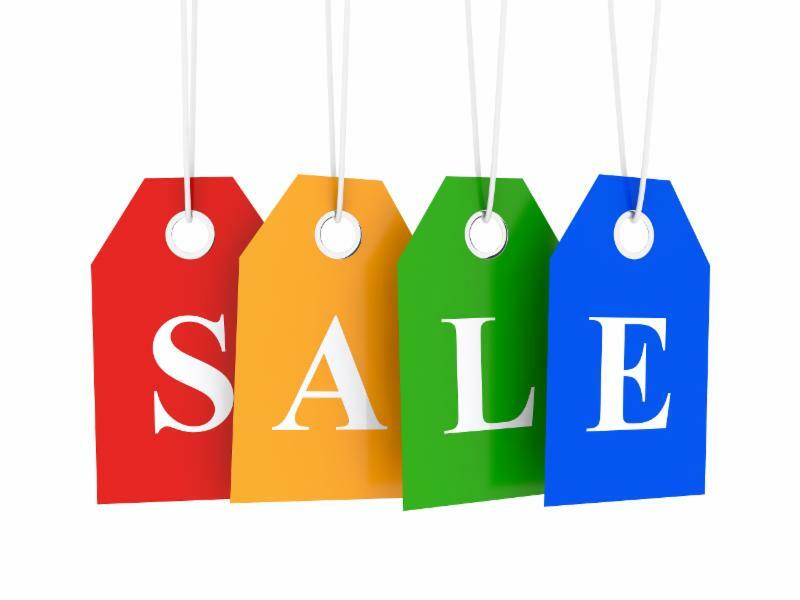 Tent Sale – One Day Only! Register now: spots are limited! Summer is in full swing and so is our summer class schedule! Here is a taste of what is coming up in our Sewing Room, and for a full listing, click here. Come and learn how rotary cutting tools can save you time and give you better, more accurate results! Jean will cover the proper use, care, and safety of equipment as well as fabric preparation and terminology. Plus, Jean will share lots of her tips! Even if you’ve used a rotary cutter before, chances are that if you haven’t been shown the correct way you aren’t using them in the most effective manner. They can seem intimidating but are essential! Learning how to use and care for your cutter will take the fear away. This class will also cover the use and care of cutting mats and the ins and outs of picking the correct ruler for your projects. This is a fun and informative hands on class. Step into the wonderful world of quilting! You’ll be guided through every step, from picking your fabric to finishing your quilt top. Starting with the basics you will learn why the perfect ¼” seam is so important and why “pressing” and “ironing” are not the same things. With the techniques you learn and the confidence you gain, you will soon be calling yourself a quilter and be busy planning your next project. 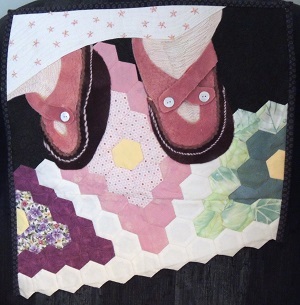 Layering, quilting, and binding techniques will also be discussed in this class; however, the focus of the class is the completion of your quilt top. The Rotary Cutting class is a prerequisite. Is your serger sitting in a corner, occupying space, unused and unloved? Don’t have time to come to a series of classes? A serger is a wonderful addition to your sewing tools and this full-day class will give you the skills to use it with confidence. Helene will teach you 3 and 4 thread overlock, flatlock, and rolled edge stitches in this technique based class. Sue Hausmann, most well-known as the host of the popular TV series America Sews, will be here for a very special event in July! Sue is joining us for a lecture-style workshop where she will share her best tips and techniques for Fast, Faster, Fastest Quilting as well as her great ideas to Give the Gift of Sewing by creating the perfect gift for every occasion. Sue is bringing along her fabulous trunk show and will teach you her favourite tips and techniques to make sewing and quilting easier and faster! Do you have a child or grandchild who would like to do some sewing and fun crafts? Are you looking for something to keep them busy and happy in August? Our team in Abbotsford is excited to help that special child have some fun mornings! We will be painting on fabric, sewing a couple of exciting projects and learning how to do some hand work. These classes are designed with the 8 to 12 year old in mind. 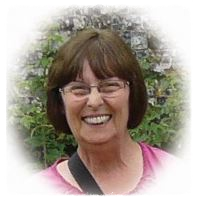 Congratulations to Jean Jones, quilter & teacher extraordinaire! A big congratulations to our very own creative and talented teacher, Jean Jones, for having her quilt selected to to compete in a special exhibit at the Quilt!Knit!Stitch! show this August in Portland, Oregon! Jean’s quilt, Follow Your Own Star and You Will Shine, will be part of the Modern Metallic exhibit which features quilts made from members of Modern Quilt Guilds from all over the Pacific Northwest. 1. Can you tell me a bit about the show & the category you are entered in? The show is put on by Quilts, Inc. that puts on Quiltmarket trade show twice a year, Quilt Festival in Houston every fall, as well as a couple of other large shows. This year they are putting on a new show called Quilt!Knit!Stitch! that features not only quilting but other needle and textile arts. My quilt was entered in a special exhibit called Modern Metallics, described HERE. Robert Kaufman provided fabric from the Quilter’s Linen Metallic line, to which I added an assortment of other fabrics. 2. Can you tell me about your quilt that you entered? Inspiration started with the fabrics from RK. I added a palette of fabrics in neutrals and blues with metallic prints. The quilt is my own design, based on a traditional spiderweb block. The block design, fabric choices, and layout evolved as I went, and I used EQ7 for the final design. It is not a pattern (yet!) although I have had several suggestions that it should be, and that I should teach it. We’ll see! 3. What sort of prize is there for winning? For me the prize is just to get accepted into a juried show! I’ve heard there are prizes but details of what they are, and how winners will be selected, are still to come. 4. As this is your first juried entry, what gave you the push to enter? I like to participate in the quilt challenges (and we have lots!) in the Fraser Valley Modern Quilt Guild, so I signed up for this one thinking it would be fun, as metallics haven’t really been used much in the modern quilting world. Some of the challenges we have done, where manufacturers have supplied fabric, simply involve uploading photos of the projects to a Flickr site. I registered my entry more because it was a Guild activity than anything else, never thinking it would be accepted! 5. Will you be going to the show or does your quilt get sent on its own? My quilt actually has to be shipped to Houston Texas, as that is the headquarters for Quilt, Inc. It will hang in the display in Portland, after which there MAY be a traveling exhibit, and it MAY or may not be chosen for that. If it is, it will not be returned to me until July 2015. Not only was Jean Jones’ quilt selected, but four other members of the Fraser Valley Modern Quilt Guild had quilts that were selected for the show as well. A big congratulations is also due to Laura Miron, Cathy Erickson, Cynthia Frenette, and Amy Dame. Congratulations, ladies! Coming up in our Sewing Room… Perfectly Bound! 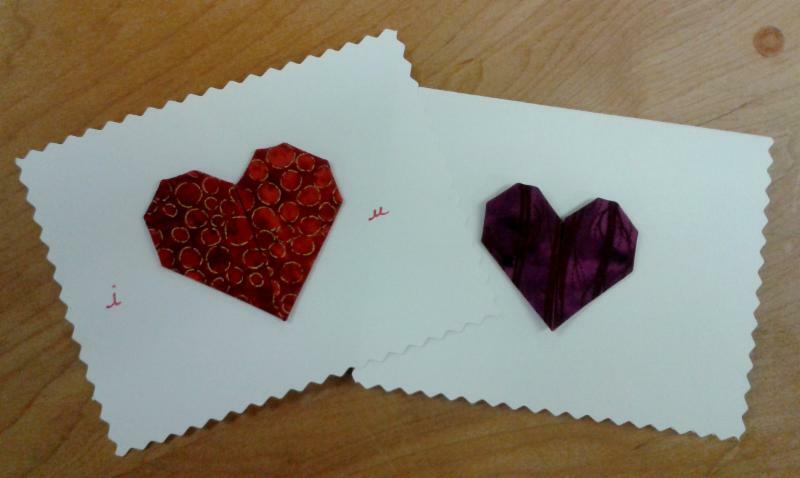 One of our most popular teachers, Jean Jones, is here yet again with another fabulous quilting class: Perfectly Bound. It’s the finishing touches that make all the difference! Take your quilts from so-so to fabulous when you learn how easy perfect bindings are. Jean will teach you how to apply bindings to both straight and curved quilt edges, how to turn corners cleanly, and join the binding ends invisibly. 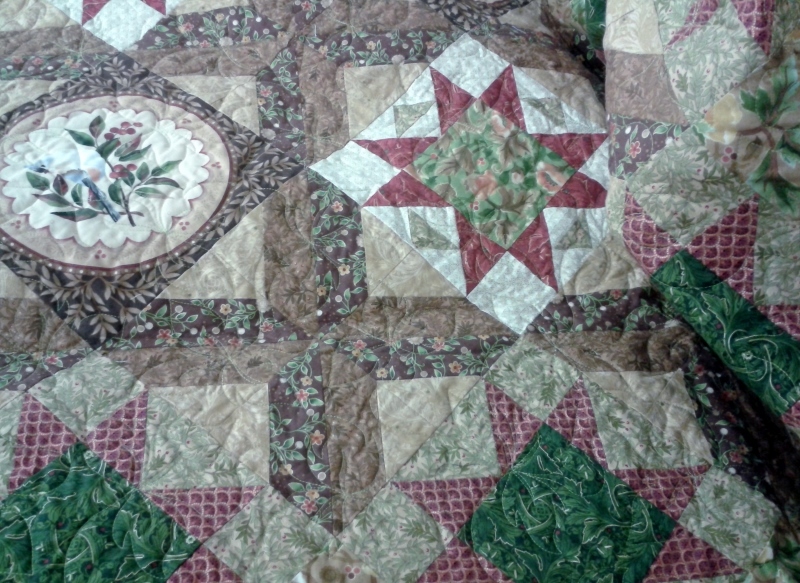 If time allows she will also take a look at binding quilts that are not square (e.g. Hexagons) and turning inside corners. This class is suitable for those who have taken beginner quilting as well as experienced quilters. One 4–hour class $32.00 plus supplies. To register, click HERE or call us at 604-575-9028.